Saltwater Phillip Island opened a while back in an incredible waterside position at San Remo on the Phillip Island side. The water dominates 270 degrees of the view, from the bridge to the mainland around to the waters of Westernport. It boasts a wood-fired pizza oven, inside or outside dining, and an impressive bar. The beers are a good mix of local and from further afield, as are the wines. A seasonal menu makes use of local produce, like Archie’s Creek rib-eye, and Koo Wee Rup asparagus. If you’re a fan of Innocent Bystander in the Yarra Valley, then this is a no-brainer for you. 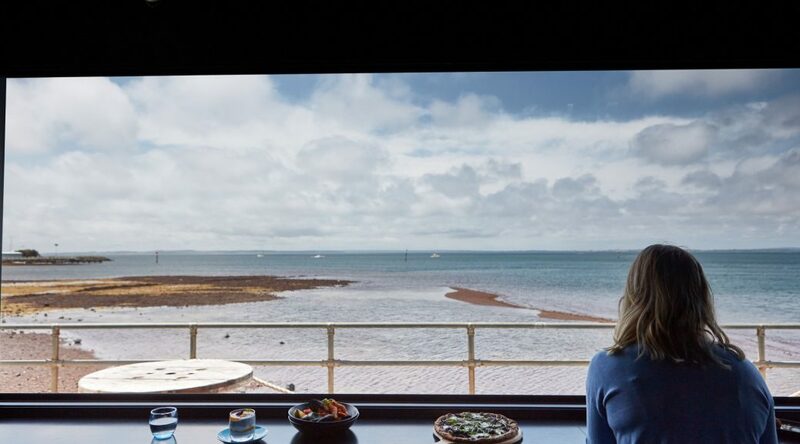 The warehouse vibe, the casual fun food turned out to very high standard, combined with that view, make Saltwater an easy sell. 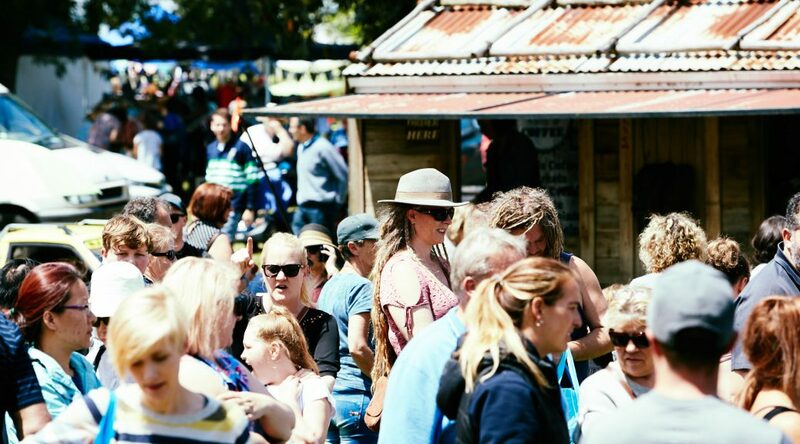 It’s hard to believe that this vibrant market in Warragul has only just turned five years old. It has the feeling of a long-established tradition of growers and makers who gather once a month to present the fruits of their labour. People come from all over to get their produce, enjoy street-food or a great coffee, and meet up with the people who grow the produce and make wares locally. It’s definitely dog-friendly, and OHO dog Rosie the kelpie had as much fun making new friends as your intrepid OHO adventurers did. Available produce will vary seasonally of course, but with over 60 stallholders listed as regulars, there really is something for everyone, even Rosie, who took home some delicious liver treats. There are so many stalls, it’s going to take a few visits to get into the swing of the market (every third Saturday of the month) and establish some long-term favourites, but here are some early highlights. Hope Farm Sourdough The way it should be. Lime & Co. Delicious Mexican food, made right there. Wild Dog Great wines and a spectacular pair of gins. Craig’s Hut Coffee Literally a replica of the famous hut, and great coffee. The Bunyip Beekeeper Because proper honey is better in every way. Cambodian Street BBQ Fills the whole place with delicious smells! Better come hungry, because you’re going to want to eat it all.